The kit includes 18 count canvas, a colour block chart, detailed instructions, Appletons crewel wool, and a suitable needle. The staircarpet instruction sheet includes details of how to measure your staircase before you begin, to determine how long to make your carpet. 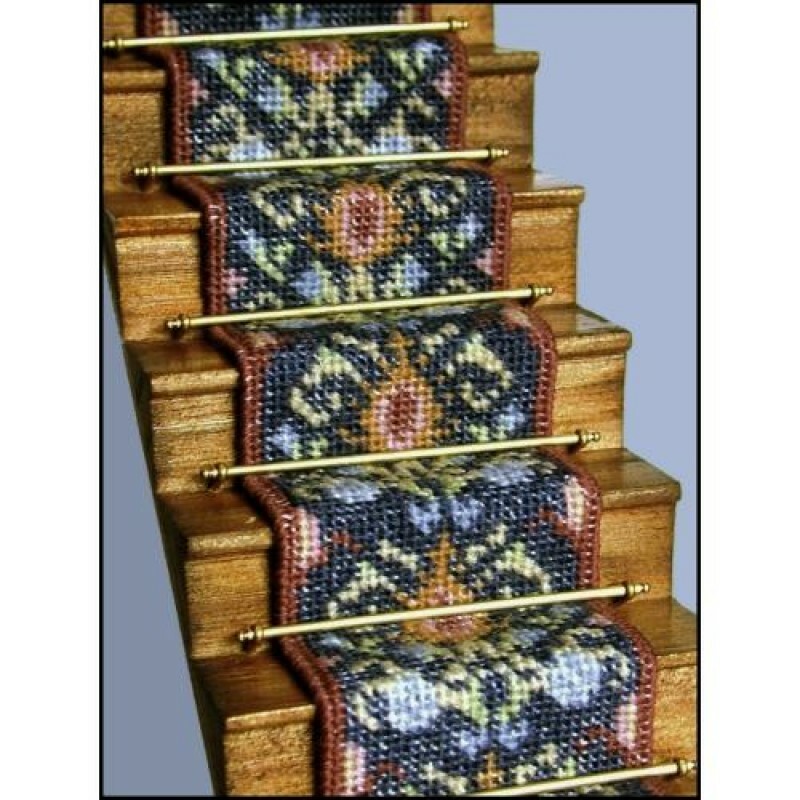 Enough materials are included in the kit for you to make a staircarpet 20 inches long. This is enough for a 15-step flight. The staircarpet is 1.85 inches (4.7 cm) wide when finished.